Side plates are straight and the chains have no rollers attached to them. The chain is held up with a conveyor attached to the side plates. 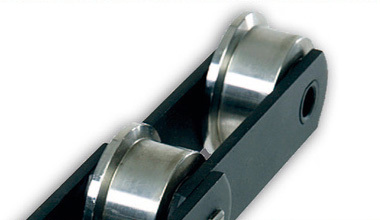 Similar to A-type, but has small rollers to reduce wear to the sprockets and bushes. The chain can be supported by either the side plates or the rollers. When supported by the rollers, only light loads may be used. 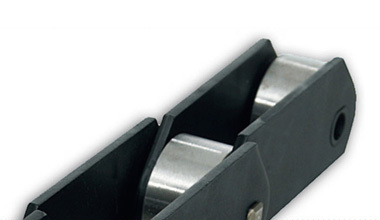 Applications for these chains include high-speed conveyors. 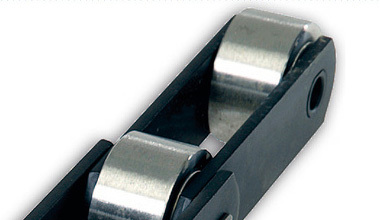 On C-type chains, smooth, plain rollers reach above the chain's side plates. This chain is especially suitable for long conveyors and large loads. 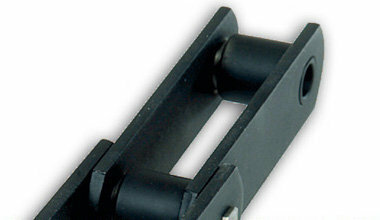 Lateral guidance is implemented by a flange on the plain roller. This roller must be hardened. The structure and applications of a D-type chain are otherwise the same as for C-type chains. The structure of this chain is similar to that of a C-type chain, but its side plates are raised higher than its plain rollers. The material to be conveyed can be loaded directly onto the chain. We have developed ways to improve the chain durability in the critical parts of the chains. This is thanks to adopting technical solutions since the first steps of the process. These improvements clearly exceed the requirements set by standards, but they are a default feature of all Lapua chains. The internal surfaces of the bushes are also hardened.